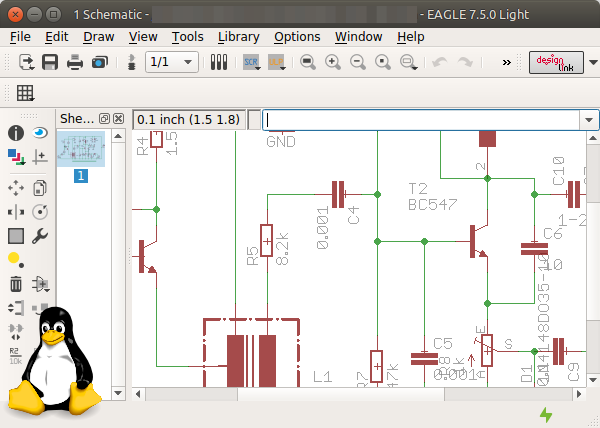 EAGLE is a complete EDA software with schematic capture and printed circuit board design. 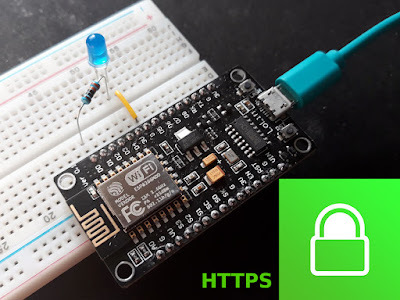 It has a free version that can be used for personal and non-commercial purposes to design circuit boards smaller than 100 x 80 mm and with no more than two copper layers. Another advantage of EAGLE is that it runs on all major operating systems. The Linux version is supplied as an architecture dependent self extracting run archive. It can be installed on most distros by executing the downloaded file. There is however one small issue. The installer does not create a desktop entry for the main EAGLE executable. Therefore you have to navigate to the folder where it is installed each time you want to launch it. Besides showing how to install it (on Ubuntu), this article will give you a simple desktop entry file that will bring a shortcut to EAGLE in your distro application menu. Note that you will have to change version numbers accordingly, because EAGLE is updated frequently. WinUSB is probably the only GUI tool that allows you to create bootable USB drives with Windows from Linux. It hasn't been updated for a long time and there are no packages for newer Ubuntu versions. Until the release of 16.04, WinUSB could be installed from existing DEB packages for previous Ubuntu releases. But things have changed with the update of wxWidgets to version 3.0 in the default repositories. WinUSB GUI depends on wxWidgets > 2.8.4 and all curent builds are based on 2.8 releases of the library. Let's mention again that WinUSB can't make UEFI bootable drives! Only the old MBR type and only NTFS formatted. This guide has also been tested on Ubuntu 16.10. 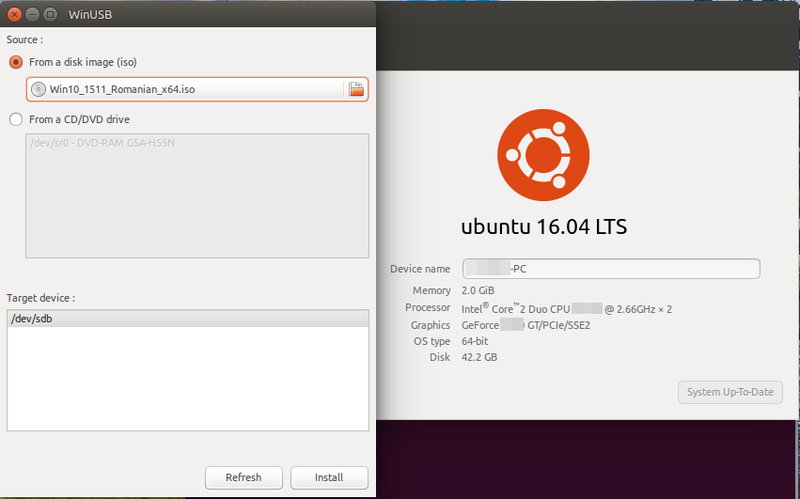 If you're using an older version of Ubuntu you may get WinUSB working by following this guide. Otherwise, you need to compile it with wxWidgets 3.0. 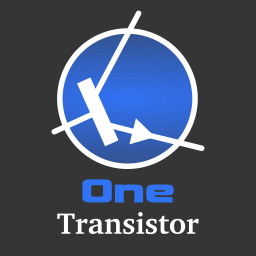 This article will describe the procedure plus the extra tweaks you must make to ensure WinUSB works as it should.